Images depicting the rumored phone from LG have hit the web.The device in question is the LG G pro 2 , which is already confirmed to be launching in MWC next month . 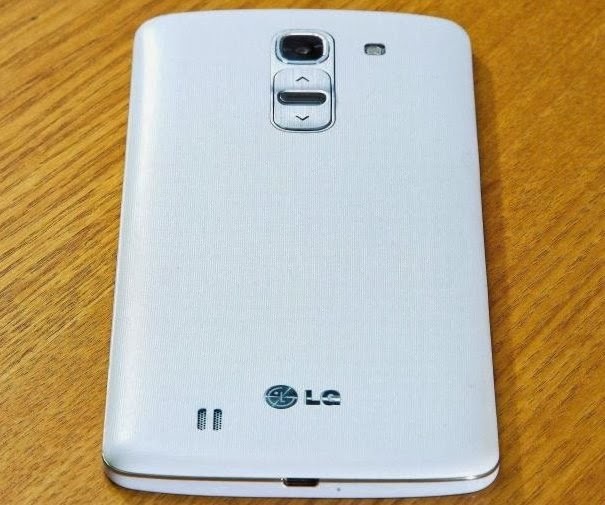 the images reveal that LG G Pro 2 will be sporting the rear power and volume buttons like LG G2. The placement is almost same as G2. The phone features a Snapdragon 800 processor with 2GB RAM.The display of the device is a 6 inch FULL HD 1080p unit.The phone will launch with Android 4.4 onboard.